As you may know, I'm a big fan of supporting small businesses. There's something beautiful about encouraging that entrepreneurial spirit in someone. All of our sponsors are small businesses or cottage industries. And occasionally I like to shine the spotlight on them. Show them some love! Noonday Collection:At Noonday Collection, we believe every child belongs in a family. We help by providing jobs that create a pathway out of poverty for families. A stable income means a family is less likely to abandon their child. We give 10% of trunk show sales directly to the adoptive family when they host a trunk show. Aside from donating 10% towards qualified adoptive families, Noonday Collection also gives towards orphan care and prevention. Lollipops & Notions has been formed by two middle age corporate woman who became grandmothers and discovered their creative sides that had taken a back seat to the task of raising a family and making a living. New births, new beginnings, new ideas. Style Me Fashions: Style ME Fashions is a on-line store developed for the church-going girl/woman, business executive or everyday woman who has a strong desire to be stylish, classy and modest all at the same time. Our desire at Style ME Fashions is to keep "Modesty Alive." Tippy Stockton Jewelry : It all began when I inherited my Mom's jewelry box after she had passed away. It's funny, I never remembered her wearing any of these amazing jewels. I've always been a girly, girl so I just knew at that moment that I needed to go on a hunt for vintage and other sparkly things. My dream of having my own site came true this week when I officially launched TippyStockton.com. I feel blessed beyond belief and I know that my angel is never far away. Patricia lives in Edmonds, WA and spends a great deal of time in her little Studio that sits under a huge spruce tree. Right now you can get a 39% discount to TippyStockton and a portion of your deal goes to charity! Click here for details. Pam's lifetime of sewing experience & love of pretty things make each Sew Gracious special. Brand new to the Sew Gracious line : Decorative Pillow Covers! SG Pillow Covers are a beautiful, affordable way to spruce up your space! Available in pairs or to mix & match. More home items are coming soon! Whimsical Dragonfly offers handmade clothing and accessories for babies and kids that you and your child will love. Your child can have trendy boutique styles without the boutique price. Most of my pieces are one-of-a-kind and I am constantly creating new styles and color combinations that are added to my shop monthly. We also welcome custom orders! At Whimsical Dragonfly, we celebrate the unique and the original - we want your child to stand out in the crowd! Orange Blossom Shop is filled with wall decor, from sweet vinyl decals to whimsical and bright wooden photo frames. Minky and Me says: Sewing is a passion for me and I'm glad for the opportunity to share my creations with others. I specialize in blankets, tag alongs, custom clothing and so much more! Use code CHAIN to receive a 20% discount! Buster and boo was born from a love of antiques and writing. I am a once-or twice published writer, and learned to type on a manual typewriter. I love working with these old, wonderful typewriter keys. For me, these keys turned into jewelry is a way to honor these old machines, and preserve a bit of the past. With each set of keys that I find, I wonder about how this machine was used - for what purpose. Was it in an office? A garrett? A college? These keys are a bit of a glimpse into the past. Reclaiming the keys is glorifying the wonderfulness of typewriters, and turning them into a mini piece of heirloom jewelry that will last a lifetime. Enter the code "rustedchain" and receive 15% off! Doodle Bugs Paper: Doodle Bugs Paper began in January 2003. I started selling my personalized stationery by word of mouth, local home shows, and selling on ebay. The Doodle Bugs Paper website was opened in November 2004 and I went from designing stationery as a fun side hobby to a full time job. I offer personalized notecards, address labels, notepads, stickers, bag tags, self inking stamps and much more. 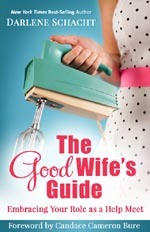 The Good Wife's Guide encourages women to make faith and family their first priorities from a place of sacrificial love. It reminds women that they were created with a specific purpose in mind, which is that of being a help meet. In supporting our husbands and living in unity we reflect God's blueprint for marriage. Do you do any wardrobe updates for Spring? Any new jewelry or accessories? Any trends you'll join in this year? I am kind of loving neon. Don't hate me. i just like that everything is green whether it's neon or not!